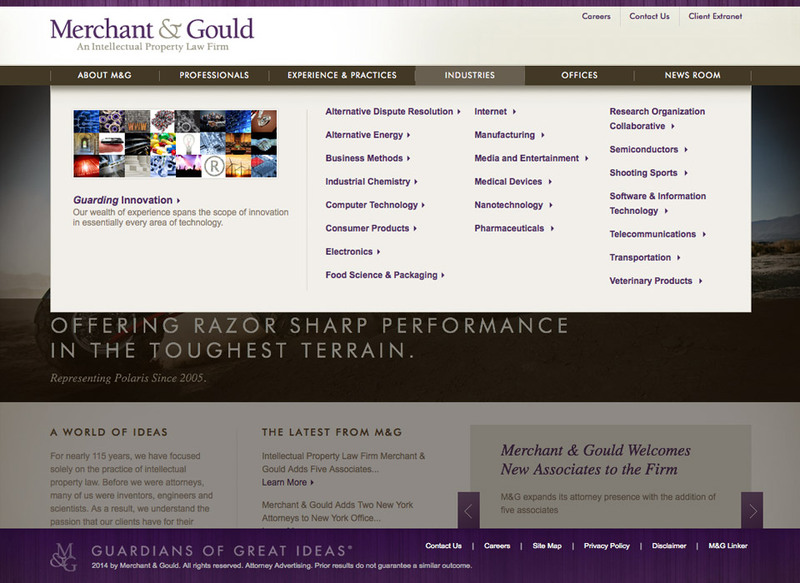 Merchant & Gould is an intellectual property law firm that services sole inventors, emerging and established companies, universities, venture capitalists, and Fortune 500 and 100 companies in new and existing markets. 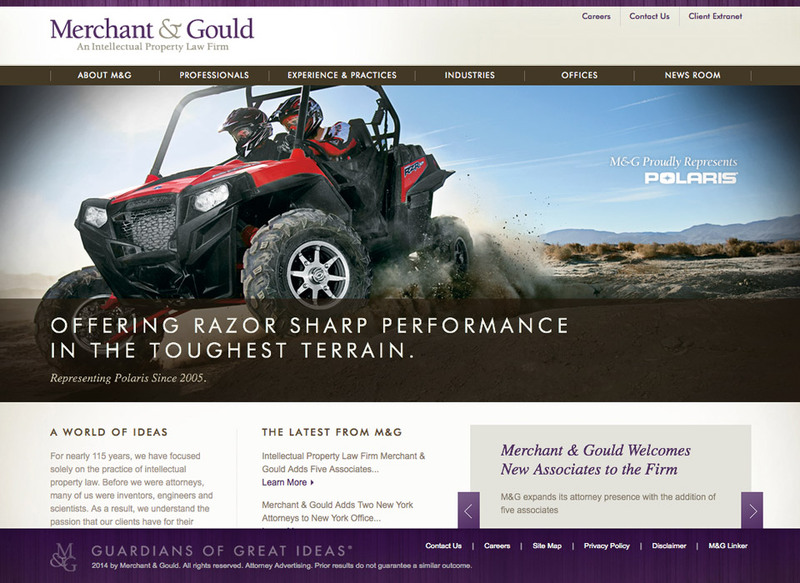 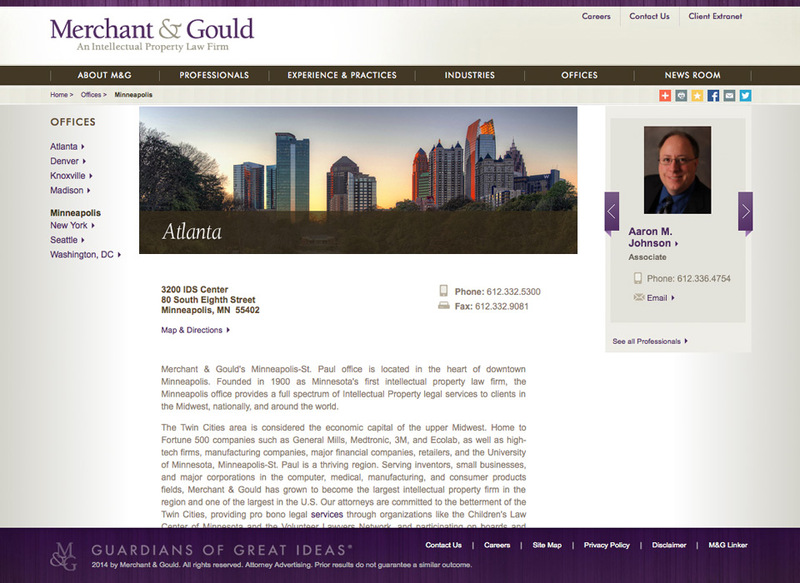 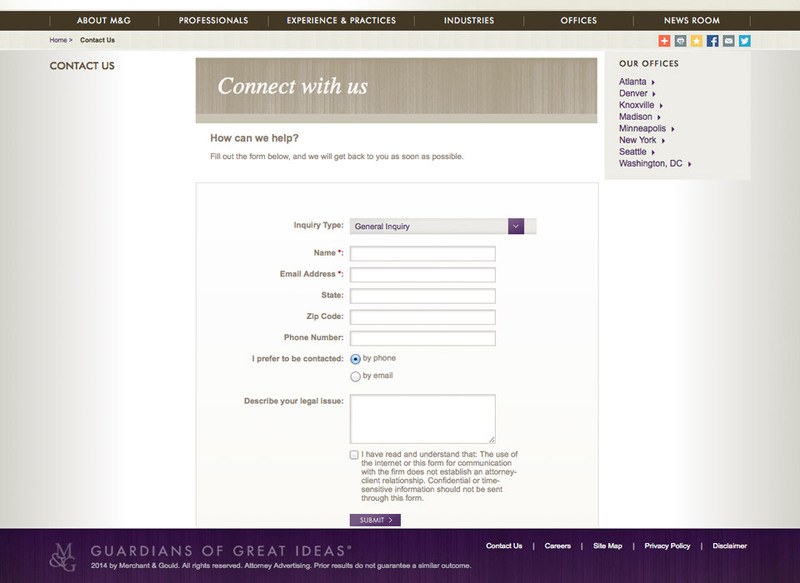 Merchant & Gould engaged us to redesign their website. 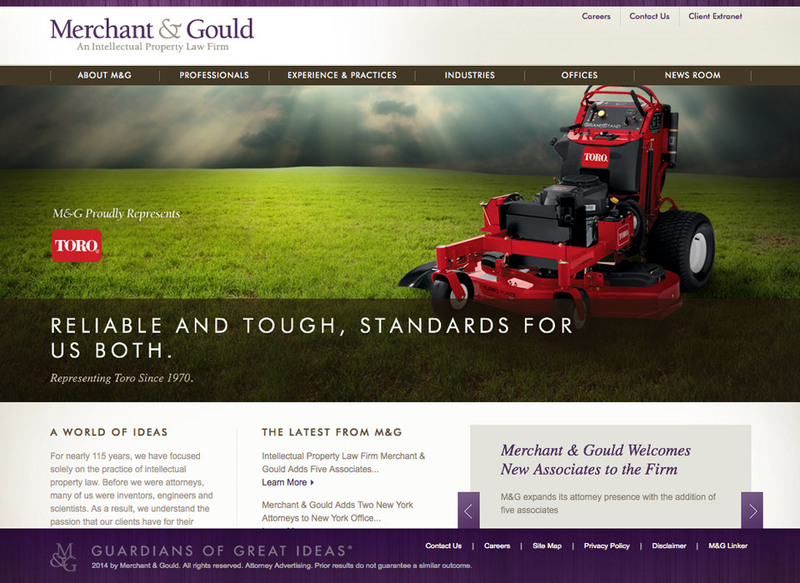 The previous website didn’t present their business professionals (also referred to as Guardians) very well, and didn’t effectively convey the world class firm that Merchant & Gould is today. 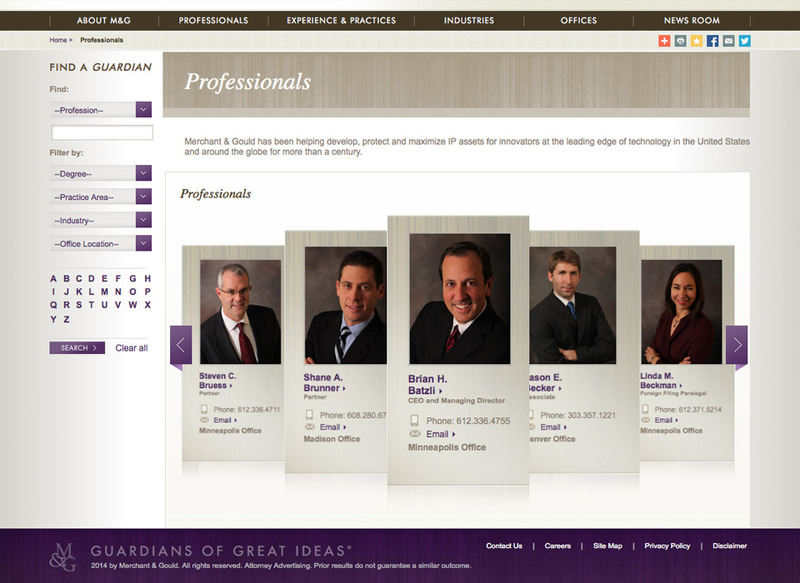 We worked with the client to feature their amazing client/partners homepage. 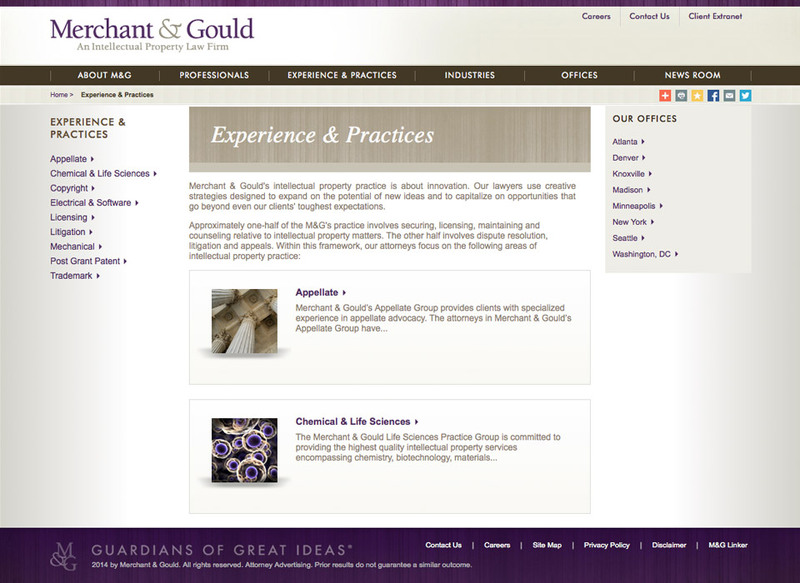 In addition, we also redesigned the website to give greater visibility to their professionals, while highlighting the firm’s experience, practice areas, and industries served.